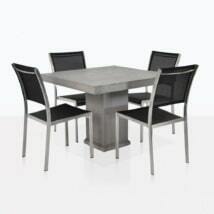 This outdoor dining set makes a clear statement of great style and taste with our 43″ Blok Square Concrete table. 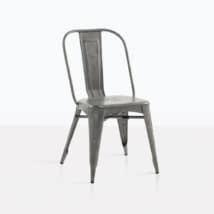 Whether you have an industrial loft in the city or a modern outdoor patio this dining set will perfectly meet your needs. 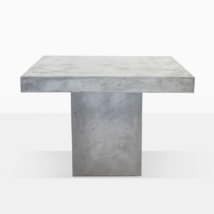 The Blok square concrete dining table is bold, modern and minimalistic. 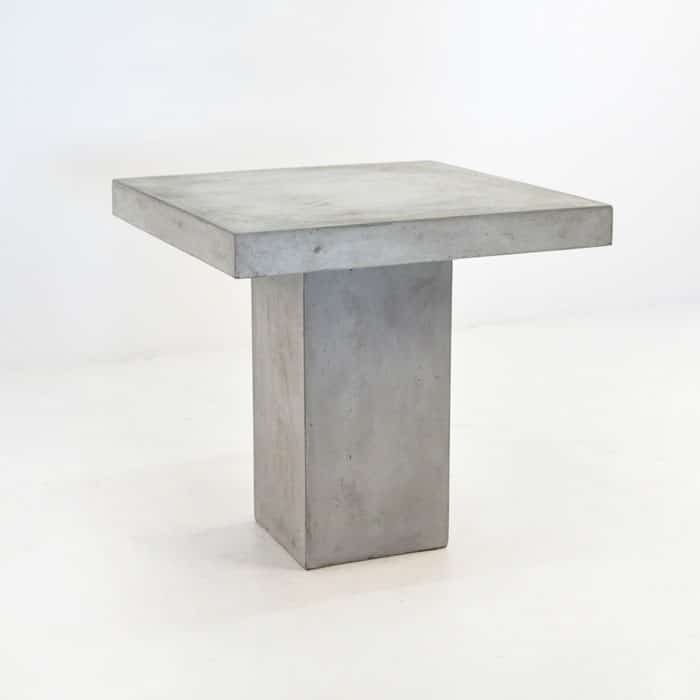 It is 43” square and 30” tall. It is made with raw concrete and resin making this is ideal for outdoor conditions. 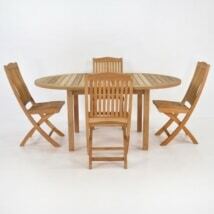 We paired the table with 4 Alix dining chairs. 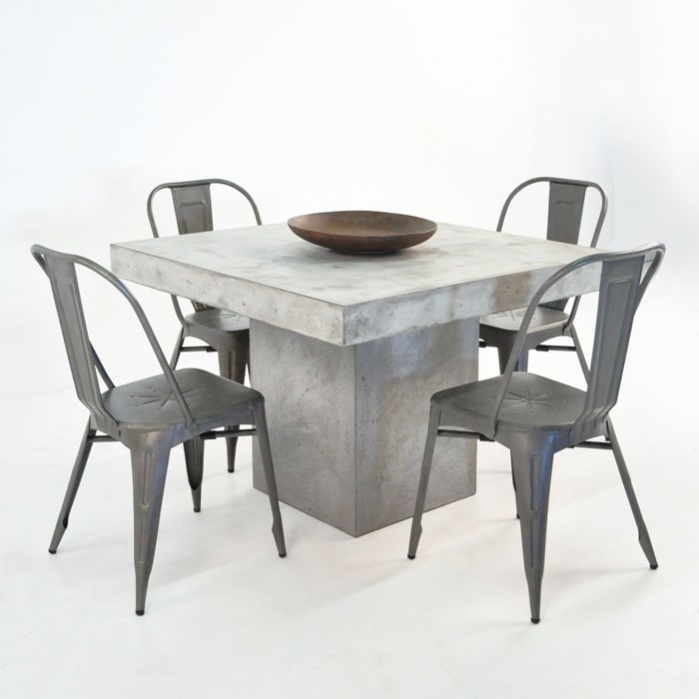 This aluminum chair is light and airy and compliments the strong look of the concrete pedestal table. The aluminum chair is powder coated to be resistant to oxidation. 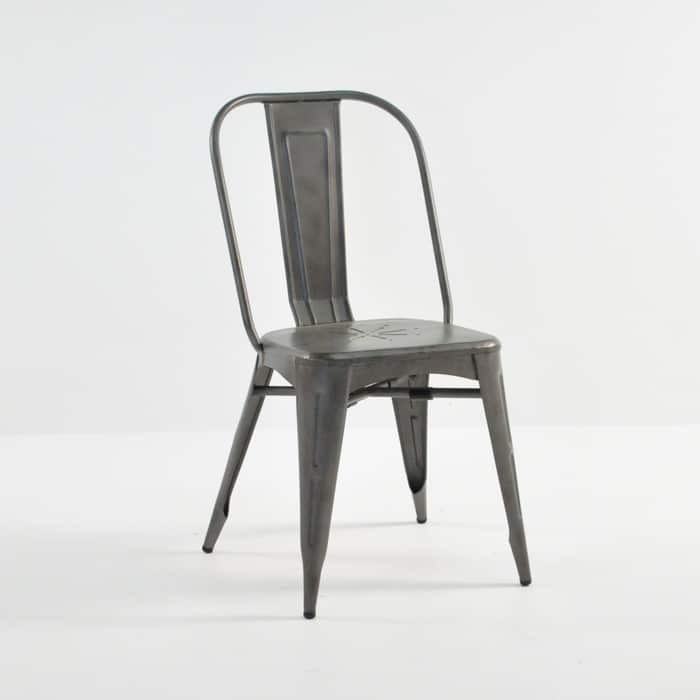 Dare to mix different materials for your own personal look. We love the look of the rustic bowl and how it contrasts with the concrete and aluminum. This bowl is sold separately and can be found in our accessories section. 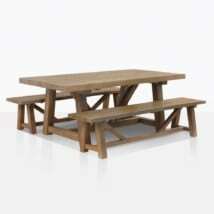 Feel good about hosting your next dinner party with this new outdoor dining set. If you have any questions please don’t hesitate to call us. We are excited to help make your vision a reality.